Midlands Provincial Affairs minister Larry Mavhima has urged Zimbabwean companies to generate foreign currency by producing internationally competitive products and not expect allocations from the government. Mavhima said farmers could generate foreign currency by producing food in demand internationally, particularly meat and citrus fruit products. He said government would seek markets for the produce, while providing technical support for the mass production and sale of finished products. Mavhima was speaking to close to 50 provincial heads of ministries and government parastatals who toured Zion Christian Church (ZCC) headquarters and Chief Mutendi's area in Defe, 100km south west of Gokwe town, on Wednesday. "There is a general misconception that government generates foreign currency. Instead, industry, farmers and private companies should generate foreign currency through production of goods in demand internationally," Mavhima said. "The role of government should be to seek markets for these products. People and companies must change this mentality if we are to attain our vision of a middle class economy by 2030." 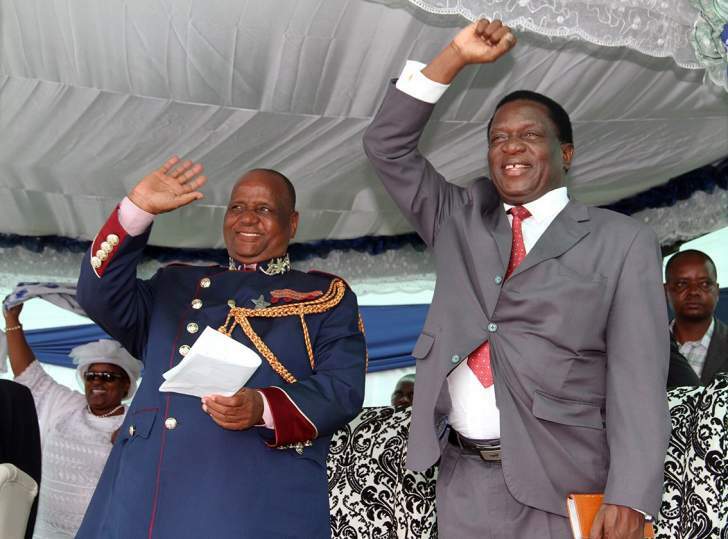 Under the stewardship of Bishop Nehemiah Mutendi, villagers from the area in ecological region four and five, whose soils are loose and affected by tear faults, are undertaking various income-generating projects. Mutendi has a vision to change the breed of their livestock through the introduction of Boer goats, hybrid sheep as well as improve pigeon, fish, cattle and crop production. The church also wants to establish a mini-hydro power station to generate electricity for the villagers. Government delegates were taken on a tour of Defe, which is slowly being developed into a green zone with numerous gardens belonging to the 500 families settled in that part of the Gokwe Sesame constituency. Mutendi encouraged villagers, most of who are members of the ZCC, to engage in income-generating projects and used the gospel to convince his "flock". ZCC also plans to establish a solar power plant meant to service villagers' homesteads, whose excess power would be fed to the national grid. Mavhima said companies and individuals should initiate projects, then consult government for professional and technical support in line with existing internationally acceptable policies and environmental dictates. "It is easier for the government to assist people who have something on the ground; people who have taken an initiative that starts projects from scratch," he said. Mutendi's church has embarked on massive dam construction project, with six dams already in place and in linear pattern on a seasonal stream, cutting across the area where villagers are settled. Mavhima led a government team that included technocrats from Environmental Management Agency, industry and commerce and education on a day-long tour of the Defe settlement, which is an oasis in this dry region. Several irrigation schemes are on the drawing board and Mutendi hopes a section of the Chirisa Game Reserve allocated to them would provide an excellent area for livestock production. Animal expert, Divine Ndlukula said she would dedicate time to educate villagers on livestock husbandry and help Mutendi and his flock realise their migration to developed animal breeds. "We will bring our expertise here and help the church realise its vision," Ndlukula, a former official of the Zimbabwe National Chamber of Commerce invited to deliver a lecture to beneficiaries, said. Mutendi said his church had also established a number of primary schools made from pole and dagga, which villagers are expected to improve. Apart from spiritual healing, Defe also has a medical clinic and is set to establish a health research facility at the centre, which is renowned for attracting thousands of pilgrims from across the world during Easter holidays. An official from the Higher and Tertiary Education ministry said they had intentions to help establish a skills training centre that would absorb most Ordinary Level graduates from the area as well as help semi-skilled workers attain professional certificates in their areas of trade. Several other government officials made different pledges of how they would dedicated their time to make Mutendi villagers' vision a reality.